…we met in St. Louis and the Arch Rival Roller Girls came… We did the video with them ourselves and they skated for eight hours, they are such troopers. Dane101: Yeah, I saw the making of video and Mando talked about how they kept skating too fast because they are constantly competitive. Kelley Deal: It was awesome. Dane101: Have you ever strapped on skates? Kelley Deal: I did skate when I was a kid. Dane101: But you’ve never been bitten by the roller derby bug? Kelley Deal: No, no, no such action. (reception starts breaking up again – she offers to call back once she gets out of the Indiana dead zone). Dane101: Mark Lanegan is on the album, how did you end up hooking up with him? KD: Kim thought Mark Lanegan would be perfect on the EP and it just so happened that the guy we were working with at the time, Ben Mumphry–who also works with the Pixies–knew people who worked with the Gutter Twins. Dane101: Obviously you have been working really hard and last year you put out Mountain Battles and you just put out this EP, but do you think you’ll start working on a new album? KD: Do you know the National? KD: …and then in December, the Breeders are going to do ATP again, which is All Tomorrow’s Parties. They’re doing the 10-year anniversary show they’re having in England. They are inviting back a lot of bands that have curated and a lot of bands that have played. Dane101: You just did the curating for ATP in May. How did that go? KD: We were so impressed with our line-up. We had Gang of Four, X, Wire, Deerhunter, Throwing Muses, The Frogs, Bon Iver–it was really good. Dane101: As the curators did you have to choose the line-up and how hard was that? KD: Isn’t it everybody’s dream? I get to put on a festival and I get to pick all the bands! So it wasn’t hard at all. I remember Shellac had invited us and we saw what Steve and Shellac had gone through. They did it very communist manifesto where every band got paid the same amount of money. They took care of carne (?) and here’s Albini checking the carne list. When they asked us Kim was like, “I can’t do that, I’m a singer, I can’t organize that.” But they said we could do as much or as little as we want and we were like, “Oh, okay, we can do that.” So we invited all the bands and there’s also a cinema there so we chose all the movies and there was a Breeders TV. Dane101: What were some of the movies you chose? KD: Wait, wait, some of the TV shows we chose, we chose “Intervention.” So you have this totally drunken weekend and people have to wake up and watch “Intervention.” I think that’s so funny and I just love the show, it’s a really good show, but I thought it was hilarious. And then, do you know that show “Dogtown”? It’s about a compound in Utah where it’s the last best hope for strays to find a home. It’s heartwarming, like “Intervention” for dogs. And for the movies…have you ever seen this Vincent Price movie called Dr. Phibes? Dane101: Oh yeah, one of my favorites of all time. Definitely in my top 50. KD: I love that movie, I picked that and also this trio of horror movies called Gingersnap, picked that, love all good horror. Mando, he’s a film guy and he’s Spanish, he picked up a lot of foreign movies like this really strange Spanish movie called Santa Sangre. It’s a trip. Such a strange movie and he picked some really classy movies to watch. Dane101: That sounds like a blast to put on. KD: Oh, it was so fun. I also had a little thing I did called “Knitting with Kelley” and beforehand we encouraged people to bring their knitting. Saturday morning we would meet at this one area and knit and sit and talk. Dane101: I saw that you’ve become sort of a celebrity in the DIY knitting community with that book you released last year. Did you ever imagine you would become so well known for knitting? 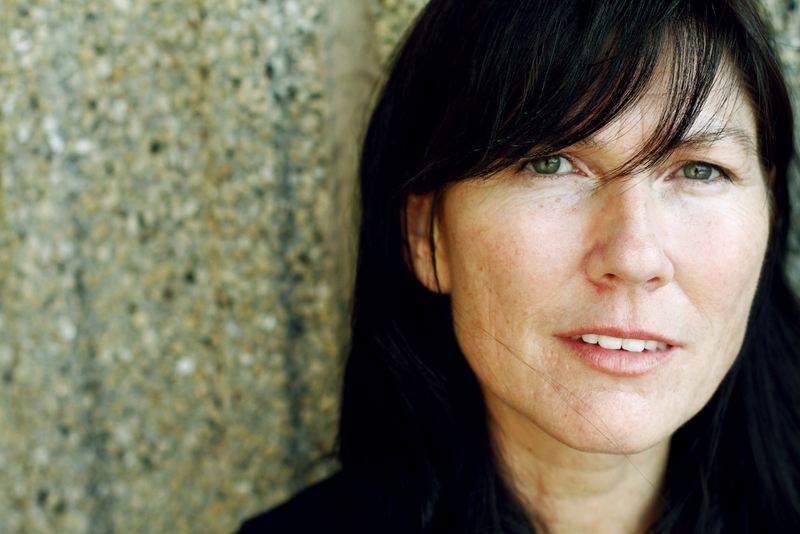 Dane101: It’s a big deal to write a book and that’s Kelley Deal’s thing, too. Your own little thing outside of the Breeders’ world. KD: Exactly, it’s so cool. Dane101: You know the Breeders have always had a very DIY ethic. Looking at roller derby, the knitting community, the way you produce music through the All Wave method, you always seem very dedicated to DIY. It all kind of ties together. KD: Well, thank you. I think people got the wrong idea, like with “Cannonball,” the success of it, they think we were on a major label and we’ve never been on a major label. We’ve always been signed to this rather obscure English label called 4AD. Dane101: 4AD has always been an excellent label. KD: Exactly, but it’s not dominating the world by any means. Dane101: Are you on 4AD now? KD: We did Mountain Battles on 4AD, but when it came to the EP it was kind of like they’re an English label, we’re manufacturing in the US, we want to take them on tour, so are we going to take a meeting with some other company? It was just easier to do it ourselves, and honestly this day in age it is so much easier. Dane101: How has the reception been to doing the EP this way? KD: Well…hold on there’s a truck coming… (truck noise) Wow, Jesse, we’ve really had to work for this interview. I feel like the world is trying to keep us apart and I don’t like it. Dane101: Hopefully you still make it to Madison. KD: I know! Geesh. So the first run we did of Fate to Fatal where we screen printed the artwork in Oxford, that sold out in like, a weekend. Half of them we sent to record stores and then we kept some. They sold out so fast it was silly. So we did another pressing, these are not hand screened, but they are very pretty and we are selling those at shows. Dane101: Who did the hand screening? KD: Kim and I did. Now, we had help, obviously, we did it at a place called Wire and Twine. And I actually sell some stuff there and under goods, I sell scarves and bags and stuff and I can’t keep it in stock. Dane101: That kind of thing is blowing up right now, the DIY from creator to consumer, like at Etsy.com. KD: Yeah, definitely, I was a featured buyer at Etsy and I got to pick twelve or so things that I really liked and why I liked them. It was fun doing it. Great shopping on there. But the EP, you can look it up on YouTube and you can see Kim and I doing the screen printing at Wire and Twine.